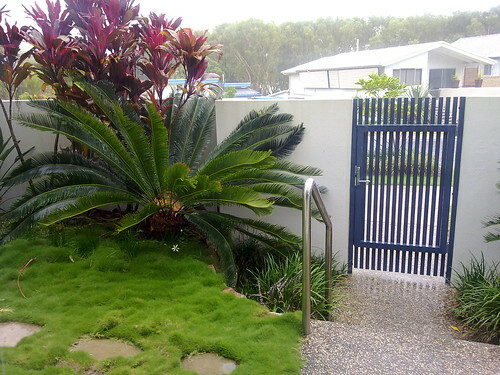 It was pouring rain at the resort we’re staying at. What better reason to get out for a ride? A bad wet day on the bike will always beat a good dry day in front of the TV. So I took off into the bush west of Coolum looking for dirt roads and rain forests. I found a dirt road leading off behind a farm, but the road wasn’t marked on the map. So it I had to follow it to see where it ended up. This is a stitched together panorama of one of the pineapple fields adjoining the road. 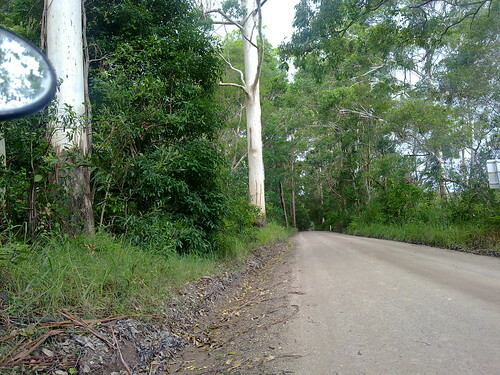 One of the many dirt roads through the rain forest near Peregian Springs, on the Sunshine Coast, Queensland. Dirt roads are underrated. Mountain bikers love single track, and rough trails, but in rainy weather it’s pretty difficult to find any tracks or trails that won’t get damaged, or end up boggy and impassable. The dirt roads west of Coolum are a great compromise.